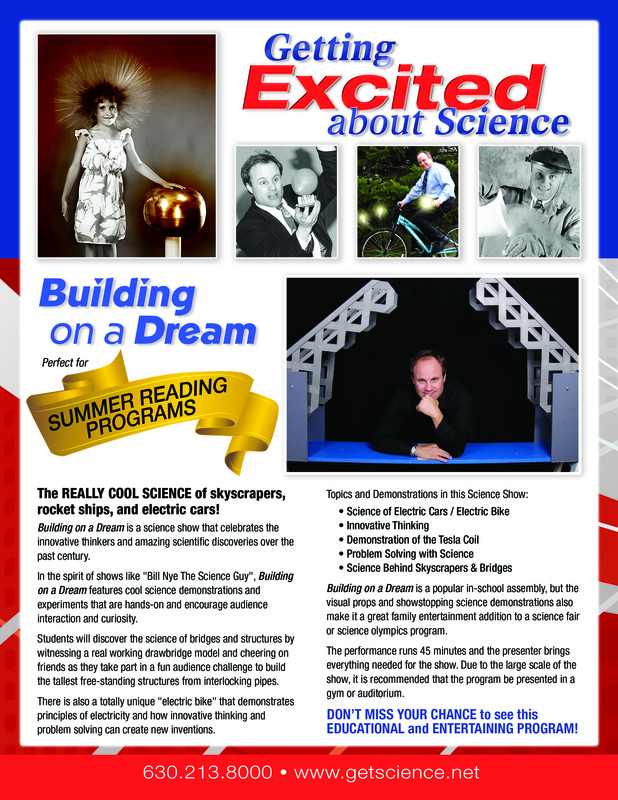 This summer Getting Excited About Science was performed at camps, libraries, park districts, and head lined many festivals. Some groups had hands on workshops, many shows were outside and we had lots of fun across Illinois, Wisconsin and Indiana. Cicero, IL had the show to kick off Back to School week. I will be perofming a show on the night of the solar eclispe and plan to set up my telescope with solar filter. Early in September, school shows start with a pair of show near Detroit, Michigan. School assembly showcases start in early September. Call early for best dates. 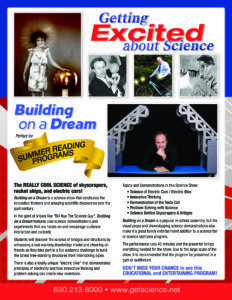 This entry was posted in Camp Science, Green Energy, Public Science show, Science Assemblies. Bookmark the permalink.